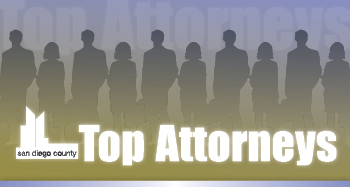 Andrew Johnson is a licensed attorney in California who is also a certified family law specialist. Johnsons' law practice is entirely devoted to the practice of family law. It is located in Vista directly across from the courthouse. Johnson became a member of the Bar in 2000, and over the past 13 years has worked for himself, Basie and Fritz Attorneys at Law and the Law Offices of James A. Hennenhoefer APC, where he was a partner before opening his own practice in 2011. Johnson earned a master's degree in accounting from San Diego State University (1995), and his undergraduate degree was earned at the University of Denver (1986). Johnson served in the U.S. Navy as an officer and aviator from 1987 to 2005 and retired from the U.S. Navy Reserve as a commander (2005). San Diego County Bar Association, Executive Committee, member, 2009–2011; Court-recommended family law mediator, passed Uniform CPA examination; AICPA Conference on Tax Strategies; U.S. Navy, Commander USNR (ret), 1986-2006. Boy Scouts of America, assistant cub master; Fine Woodworkers Association. Johnson served in the U.S. Navy as an officer and aviator from 1987 to 2005. He retired from the U.S. Navy Reserve as a commander in 2005. He enjoys spending time with his wife and children. As well, he is an avid woodworker, gardener and dog lover.